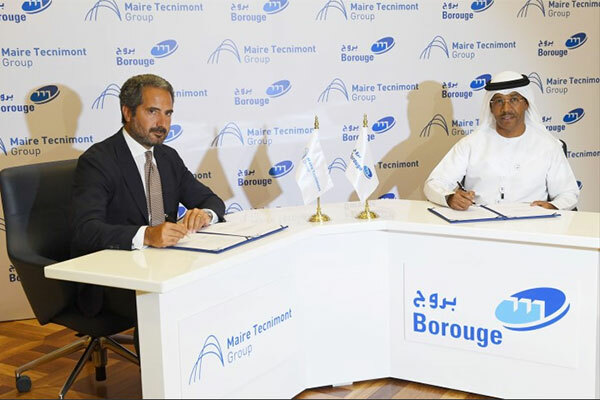 Borouge, a joint venture of the Abu Dhabi National Oil Company (Adnoc) and Borealis of Austria, has signed an Engineering, Procurement and Construction (EPC) contract with Marie Tecnimont Group for its fifth polypropylene (PP5) plant in Ruwais, a media report said. This will grow Borouge’s polypropylene capacity by 25 per cent to 2.24 million tonnes per year (t/y) and unlock new opportunities to reinforce local industries, reported Emirates news agency Wam. With a nameplate capacity of 480,000 t/y, the new PP5 plant will be integrated with the existing Borouge 3 plant in Ruwais and will be expected to come on stream in Q3 2021. Enabled by Borealis’ proprietary Borstar technology, Borouge’s PP5 plant will play an important role in helping Adnoc deliver against its downstream strategy announced in the recent Downstream Investment Forum, held in May 2018, with the aim to significantly expand its refining and petrochemical operations – through the creation of the world’s largest integrated refining and petrochemicals complex in Ruwais – undertake highly targeted overseas investments to secure greater market access, and increase Adnoc’s, and its subsidiaries’, range and volume of high-value downstream products. Building the PP5 plant in Ruwais significantly contributes to achieving Borouge’s ambition of growing the polymers production capacity by 11 per cent to reach 5 million tonnes per year which is effectively linked to the growth ambitions of both Adnoc and Borealis to grow polymers production capacity. The PP5 plant will become the tenth Borstar plant in Ruwais that contributes to ensuring global supply of creative polypropylene products based on the partnership between Adnoc and Borealis. The Ruwais-based plant will help Borouge expand its product portfolio and deliver leading solutions to its customers across the globe, especially in the packaging industry.